fttp Archives - jxeeno™ blog. NBN Co, the company responsible for building and operating the National Broadband Network, has released a new test agreement to test the feasibility of using NBN services to connect transport infrastructure sites like traffic lights and cameras. According to the test agreement, the trial is set to begin on or around 27th November and will run for approximately 17 weeks. 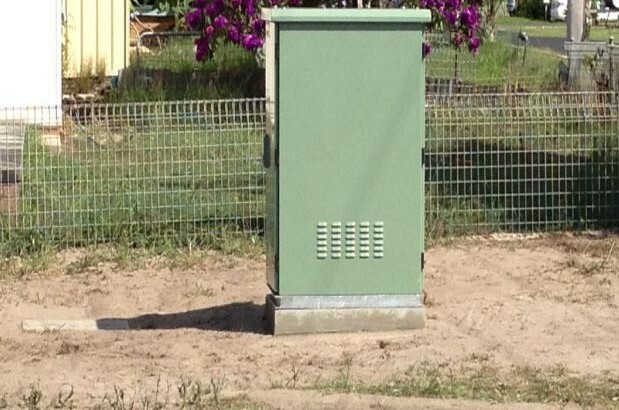 NBN Co plans to provide test services in New South Wales, Victoria and Queensland. Service providers will also need to enter into an agreement with the relevant transport authority in each state to participate in the trial. As part of the trial, NBN Co will only test the feasibility of two access technologies in the Multi-Technology Mix. 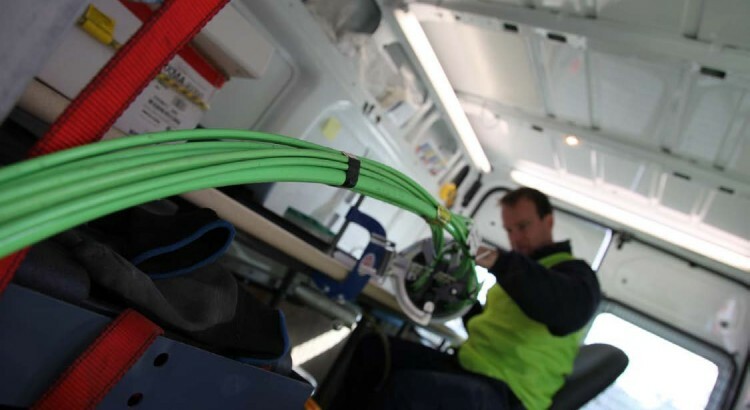 NBN Co will extend its Fibre to the Node (FTTN) and Fibre to the Premises (FTTP) networks to agreed test sites. However, the company’s third fixed-line access technology HFC will not be part of the trial. The trial will also make use of a new FTTP small form-factor network termination device (SFP NTD) rather than the standard issue F-NTD used in standard premises. 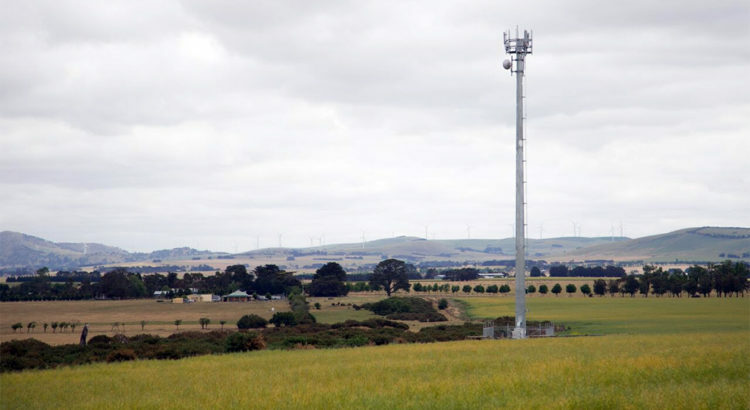 The company responsible for building the National Broadband Network, nbn, has released an interim agreement for its Cell Site Access Service (CSAS). As previously reported, this product is designed for mobile service providers to connect its cell towers through the National Broadband Network fibre network. The agreement includes a price list, indicating nbn’s intention to provide cell towers with blended traffic class product including a traffic class 1 and traffic class 2 access virtual circuit (TC-1/TC-2 AVC). All access products include a 5 Mbps TC-1 AVC, with varying amounts of TC-2 bandwidth from 50 Mbps to 900 Mbps. 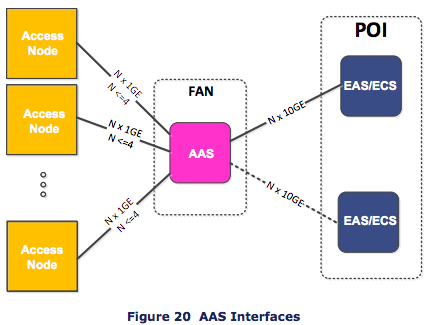 Unlike the residential/business focused product offered by nbn (NEBS), the CSAS price list and product specification bares no mention of the contentious connectivity virtual circuit (CVC) — the charge imposed by nbn to allow traffic to be carried over from the NBN to the provider’s network. For the first time, nbn has offered differential pricing based on the classification of the point of interconnect. Access components in metro and outer metro areas will be charged at a lower rate compared with regional areas. For example, the base product which includes 5 Mbps TC-1 and 50 Mbps TC-2 comes in at $910 in metro and outer-metro areas. However, the access charge will increase to $1,245 for cell towers connected to regional points of interconnect. 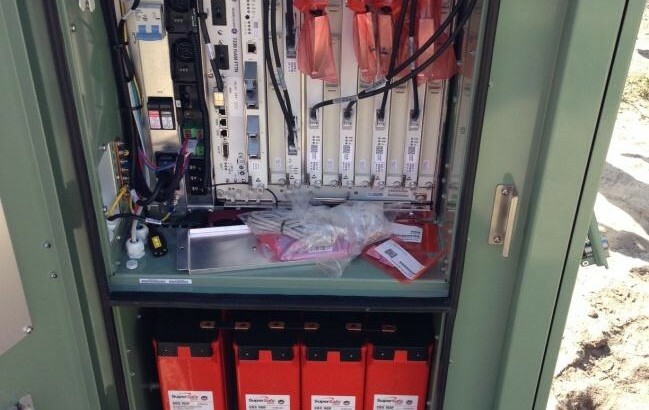 nbn will be providing a specialised network termination device (NTD) for customers of the Cell Site Access Service. Unlike the standard NTD available for residential connections, the CSAS NTD will only have one User Network Interface (UNI) which is accessible through a copper or optical port. The customer is expected to produce 3 RU of rack space for the installation of the NBN fibre tray, power supply and NTD. You can find the CSAS pricing list and product descriptions on the nbn website. Updated 23rd September 2016: to include that CVC appears is not mentioned. The company responsible for building the National Broadband Network, nbn, has released a new supply agreement which enables TV services to be delivered over the NBN fibre network in selected new developments. As reported on jxeeno blog in October, the company began consulting the industry for the potential of such a service. The agreement released today is intended for content providers who will overlay its own radio signals over the existing NBN fibre network. The introduction of this service is seen as a competitive response to the government’s Telecommunications in New Developments (TIND) policy which encourages greater infrastructure competition in new developments. Other fibre providers have long provided a similar TV service over fibre including the TransACT network which nbn acquired in 2013. The product, provided for free to willing service providers, will allow TV radio signals to be delivered over the fibre network using a technology known as Radio Frequency on Glass (RFoG). Providers must at least provide a TV channels ordinarily available on free-to-air in that area, and may additionally provide its own content or contents from other providers. New developments with Fibre TV enabled will have a separate RF converter which transforms the signals delivered over fibre to TV signals. The company responsible for building the National Broadband Network, nbn, has released a briefing paper on the so-called Fibre TV concept, requesting for feedback and expression of interest. Fibre TV would take advantage of the Radio Frequency over Glass (RFoG) standard, enabling Radio Frequency (RF) signals to be transmitted over fibre. nbn‘s new product is seen as a response to the Federal Government’s updated Telecommunications in New Development (TIND) policy which has seen increased competition for delivering telecommunications infrastructure to new developments. Many new developments who are serviced by other fibre providers take advantage of this technology, which enables developments access free-to-air TV with antenna-less rooftops and also potentially gain access to premium channels not otherwise transmitted over free to air TV. Previously, nbn had removed RFoG functionality from their network when it acquired the TransACT Fibre to the Premises network around Canberra. TransACT previously took advantage of this technology, however, as part of the transition to NBN Fibre — antennas were installed in place service. Firstly, a number of TV service providers will sign an “RF Light Path Agreement” enabling them to use their RFoG equipment on the nbn network where needed. These providers will typically provide free-to-air TV services, but can also provide premium services. New developments would then, on engaging with nbn to build out their fibre network, request the company to enable this technology in the network. The company would install an RF converter, separate to the Fibre Network Termination Device (F-NTD), to connect to the coaxial TV cable within the home. The development would could then engage with nbn-certified TV service providers to provide their residents with television services over fibre. Under the proposal, nbn will only make this service available to new developments greater than 250 Multi-Dwelling Units or 500 Single-Dwelling Units in the FTTP footprint. Feedback and expression of interest in the Fibre TV service is due back to nbn by 10th November 2015. (analysis) Customers on the shiny new NBN FTTN and FTTB networks may find themselves left with slow and congested speeds for decades because of short-sighted network design decisions made by the company. Analysis of the latest Network Design Rules for the NBN, dated 30th June 2015, reveals that customers may only be able to reach a committed information rate (CIR) of roughly 5Mbps on a fully loaded node – far short of the 25 mbps that popular internet streaming service Netflix says is required for 4K video streaming and also falls short of the Vertigan panel’s recommendation that 50% of Australians will only need 15 Mbps by 2023.
nbn™, the company responsible for building the NBN, currently deploys 4 Point-to-Point fibres from the Fibre Access Node (similar to an “exchange”) to the NBN node where the DSLAM equipment is located. However, it also goes on to say that only 2 of the 4 fibres will be used for connectivity, with the other 2 reserved for “future growth or migration activities”. NBN’s Network Design Document explains 4 fibres will be allocated per NBN node with only 2 in service. 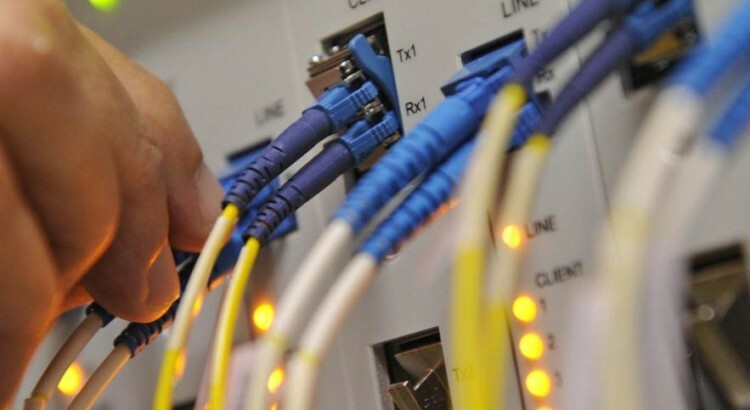 Each of the fibres will deliver a 1Gbps ethernet connection back to the NBN Access Aggregation Switch (AAS), totaling to an effective 2Gbps ethernet connection between the node and the Fibre Access Node – or 4Gbps if all 4 allocated fibres are used. 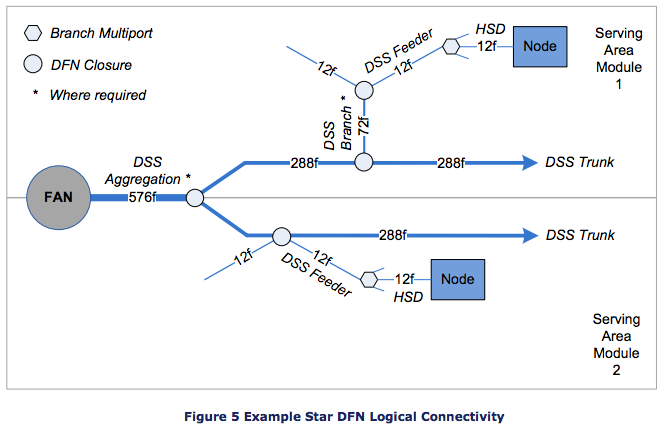 Also according to the document, depending on the DSLAM configuration, each of nbn™’s FTTN and FTTB nodes are capable of connecting up to 384 premises. If a mere 21% of all premises connected to a node starts streaming a 4K stream on Netflix, the node will exceed its capacity. As many saw with the launch of popular internet TV streaming service Netflix in Australia, telecommunications companies failed to predict the demand of the service leading to heavy network congestion across Australia’s major ISPs. For some of Netflix’s popular productions like House of Cards and Orange is the New Black, the company releases all the episodes of in their series at once. This results in a brand new network usage “profile” that Australian ISPs and network providers like NBN have seen little of before… where customers continuously watch (binge) and subsequently stream content for hours on end. If a mere 21% of all premises connected to a node starts streaming a 4K stream on Netflix (21% of 384 at 25 Mbps), the node will exceed its capacity. This will leave zero bandwidth for the remaining 75% of customers potentially connected to the node. While it can be expected that NBN’s QoS (quality of service) management will balance the load to prevent a small number of customers hogging the entire link, all customers across the board will suffer from congestion issues because of it. With the increasing prevalence of Internet TV in Australia, the limited design of the NBN FTTN and FTTB networks will have lasting implications on what Australians will be able to do with their Internet connection. nbn™ has also indicated that they will only deploy 12 fibres up to an NBN node, making it difficult to upgrade an NBN FTTN or FTTB node area to fibre without significant downtime or extensive civil works. 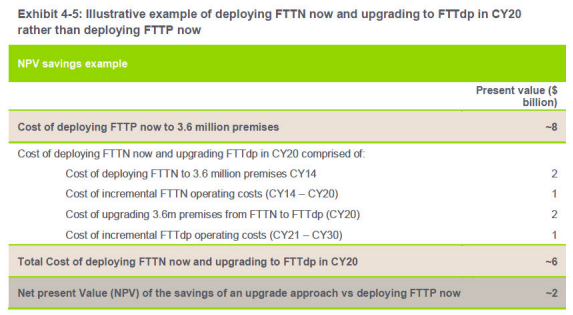 Assuming a fully loaded 384 port NBN node is to be upgraded from FTTN to FTTP, with 4 fibres already allocated to the FTTN DSLAM for connectivity back to the Fibre Access Node, 8 fibres are remaining to potentially deliver fibre services all the way to the customer’s premises. However, the 8 fibres will only be capable of delivering GPON services (the FTTP technology that the NBN currently uses) to a maximum of 256 premises (each fibre can be split into 32 premises, 8 × 32 = 256). Without causing massive disruption to all customers connected to the current node, it may not be possible to transition to FTTP on high-capacity nodes other than by rolling out the network from scratch again. This means that even if nbn™ decides to upgrade the network, they will likely continue using copper-based technologies for the years ahead to avoid large capital costs again. (edit) further reading: You can read nbn’s side of the story in their blog post here. Bias or truth? nbn™’s official blog just can’t stop attacking the former Government’s Fibre to the Premises policy. Does this fall foul of the GBE guidelines? Along with last year’s flashy redesign of the then “NBN Co” website, the company introduced a “blog” section to their revamped site. Whether you liked it or not, at that point the NBN rollout had transitioned to the Multi-Technology Mix strategy. However, it became evident quite quickly that this site is being used to trash the former Labor Government’s NBN policy while parading the current Government’s policy of the “Multi-Technology Mix” rollout. For example, nbn™’s blog is all too happy to spruik British Telecom’s (BT) headline up-to speed of 76Mbps download. The figure pops up numerous times in nbn™ blog posts, including here and here. But when it was revealed that 74% of households could not reach the headline 76Mbps speed at all, nbn™ was silent. One might say, it’s bad to push a negative impression of its rollout own rollout strategy to the community. But then, why would nbn™ be more than happy to trash the Fibre to the Premises technology on its blog, given it accounts for almost a quarter of the MTM rollout. Likewise, even when there’s positive news about a particular FTTP rollout, the company blog always takes a negative spin about the topic on hand. For example, when Singapore announced nationwide 1Gbps speeds over FTTP – nbn™ immediately went on the negative focusing on the issues of the aggressive competition in Singapore. Keep in mind, these issues will never affect Australia as no incumbent telco has the money to roll out such a network across such a vast landmass… which is why the NBN existed in the first place. Today, nbn™ updated their rollout map to include new areas where build preparation commenced last month. As predicted on jxeeno blog last month, this month marks a milestone in the company’s implementation of the Multi-Technology Mix rollout methodology with all 152 of the new Serving Area Modules added set to MTM. None of the areas added this month will use purely Fibre to the Premises – however, it is expected parts of some Serving Area Modules may use FTTP where economically feasible as part of the company’s established MTM deployment principles. The majority of premises in the listed areas are expected to get a Fibre to the Node or Fibre to the Basement connection. A further breakdown of technology-by-area or premises is not available on the company’s public website. This comes as the company revealed that customers in the FTTN footprint will only be guaranteed 12/1 mbps during the transition period while ADSL services still exist on the copper network. It’s been known for some time that the Fibre to the Premises rollout will come to a head. As expected after the introduction of the Multi-Technology Mix (MTM) rollout strategy as directed by the Government’s Statement of Expectations to nbn™, the FTTP rollout era is expected to end next month in June. According to the 18 month rollout plan released to service providers in March, there will be no more FSAMs (Fibre Serving Area Modules) expected to commence build beyond June 2015 encompassing a “pure” Fibre to the Premises rollout. The past two months (March and April) saw a consecutive lows of 4 FSAMs entering into build preparation phase. The 19,900 lucky premises over the past two months are one of the final groups of communities to get the full FTTP rollout. Provided that nbn™ doesn’t remove them from the map again, these areas are expected to commence build within the next 2 months. One final rollout region, somewhere in the Wollongong Fixed-Line Serving Area, is expected to be the final FSAM to enter into the build preparation phase this month and appear on the rollout map in June. From there on in, it is expected that nbn™ will transition to the MTM, dropping the word “Fibre” from “Fibre Serving Area Module”, releasing Service Area Modules (SAMs) that will encompass multiple technologies in a single module. Following a map update yesterday, NBN Co has removed approximately 58 thousand premises that were previously slated for a Fibre to the Premises rollout from its rollout map. These premises, spread across 22 Serving Area Modules (SAMs) in NSW, VIC, QLD, SA and WA, were all in the Build Preparation phase where Telstra’s pit and pipe remediation works commences and detailed designs of the SAM being finalised with NBN Co’s construction partners. The majority of these SAMs are covered by Telstra’s or Optus’ HFC networks, which NBN Co is expected to acquire, upgrade and integrate into the National Broadband Network as part of their so-called “Multi-Technology Mix” rollout strategy. It is expected that most of these areas will now be delayed until the HFC deals are finalised and rollout commences. However, there are also some areas such as Dubbo (2DBB-06) that are not covered by the HFC networks but were still removed from the map. Update 15/04/15: According to Daily Liberal, 2DBB-06 was delayed due to an “over ambitious” rollout sequencing by NBN Co.
(opinion) It’s not the first time that NBN Co has removed areas from the rollout map, and it won’t be the last. But it’s another significant reduction of premises covered by the Fibre network. The good news is that NBN Co is deciding to make better use of tax payers money in achieving its expectations (as outlined in the Statement of Expectations, which only requires min. 25 mbps, remember!). Once DOCSIS 3.1 is rolled out, the HFC network upgrade will be vastly better than current HFC services and indeed — should be able to deliver speeds comparable to the current FTTP network. The sad news is that you won’t get fibre (but it’s okay!) and you probably won’t get faster internet for some time yet… at least until the HFC deal is finalised and the upgrades are done. It is disappointing to see NBN Co add these areas, knowing the HFC deal was ahead, then backtrack and remove these areas silently. No doubt, there will be many disappointed people around Australia that their beloved fibre connections will no longer come to them. I believe that, as hard as it may be, NBN Co has a role in informing these communities that they were removed from the map for a reason and not to fear. To have them on as “build preparation has commenced”, then suddenly remove them because of a change in policy that was known months in advanced will only cause confusion and angst in the community.